How do you imagine a typical rural setting, with water shortage? Our stereotypical mind will picturise a village where men are doing all the hardwork and each one in the village have their eyes fixed on the sky. Yes, it does sound like the Lagaan movie plot. But the reality is a bit different than what you think it is. CORO works in Western Maharashtra on water issue. In Western Maharashtra, a lack of sufficient, sustained rainfall has withered the crops. As the wells have dried up, so have village livelihoods, causing seasonal migration into the cities in hopes of finding odd jobs. Meanwhile, government and civil society turns a blind eye to the plight of the parched and desperate rural population. We chose a different approach towards minimizing water crisis; we realized that it is important to – mobilize people first, acknowledge their concerns, educate them about why these concerns exist and teach them how to tackle these problems. As a 30 year old grassroots organization, our core ideals remain - ‘building leadership within the community’. Hence, we replicated this thought process in our water programme as well. In total, we have chosen 6 villages with water scarcity. In these villages, we have made different groups based on age of the residents- Self-help groups of women, groups of men, groups of adolescent girls, a different groups of adolescent boys. CORO team regularly meets these groups and felicitates sessions where they engage with each other in various games or other interactive sessions. In the process of mobilizing the residents, we focused on empowering them with technical knowledge about how they can reuse water, store water, identify recharge and discharge areas, conduct hydrogeological mapping of wells to measure the increase/decrease in water level from ground. We began this process some months back and today when we look back, we see change; a change which cannot be measured but only seen. 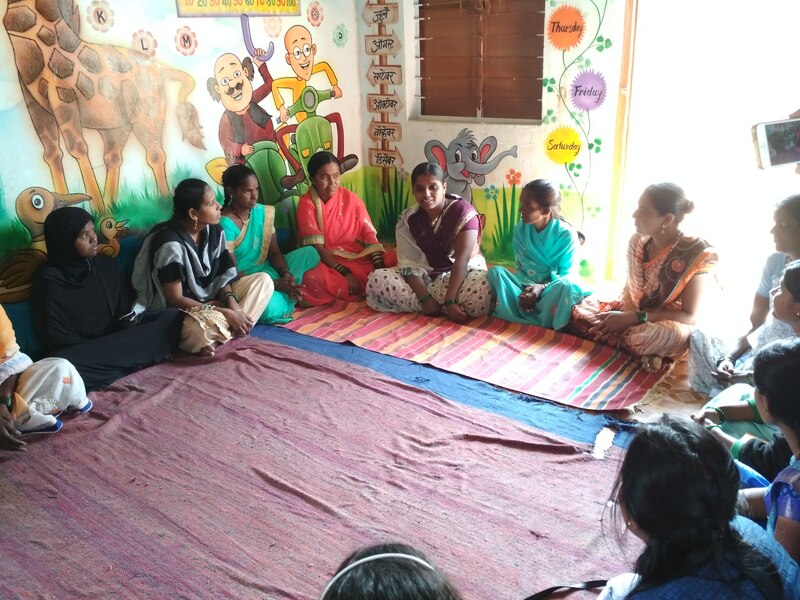 When we first established self-help groups for women, in the initial stage only one lady (Anganwadi worker) was a part of this meeting. Thus, we held more sessions, mobilized more and more women, brought women from different communities together and developed a sense of belongingness. Women and girls bear the brunt of water shortage as their access to education, health, and nourishment is the first to be curtailed. So, it is important to hear them out. That is exactly what we did and eventually, we became the listeners. Their technical knowledge about water process in the village is mindboggling. They know exactly where the water recharge and discharge points of the village are and which sand absorbs water while which does not. It is overwhelming to see that the people of these villages have taken the onus of fighting water crisis on their own. In Paratwadi, a group of girls came together to build a LBS port, made-up of stones and small rocks, where water gets collected in small portion. The willingness to put in joint efforts and improve the condition of their village is worth appreciating here. For documentation purpose, we decided to take video bite of the Sarpanch of Pachwad village. To everyone’s surprise, even after 4-5 takes, he seemed nervous, fumbled several times and finally refused to speak at all. He said, he was too shy to face the camera. While on the other hand, the women of the same village not once hesitated while speaking in front of the camera, did not miss out a single pointer and spoke with full confidence. The spark in their eyes and the sternness to bring a change is remarkable, and like mentioned above, ‘unmeasurable’. It’s time that we rise above these gender cliches and acknowledge the fact that women have it worse in drought –affected villages because 100% of the household chores are performed by women and girls, and it all requires tons of water. Not just that but, women and girls play an important part in the fields also. So, it is necessary to address their concerns. 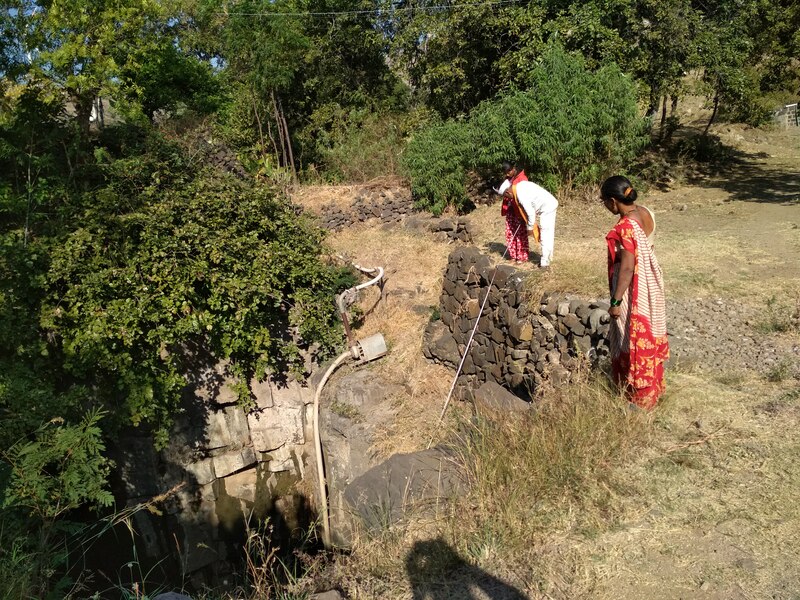 Our team in Western Maharashtra is adamant on ‘bringing the change’ in these villages but not just related to water. Their aim is to motivate and push the residents further so that they cater their difficulties independently and we believe, this day isn’t too far away.